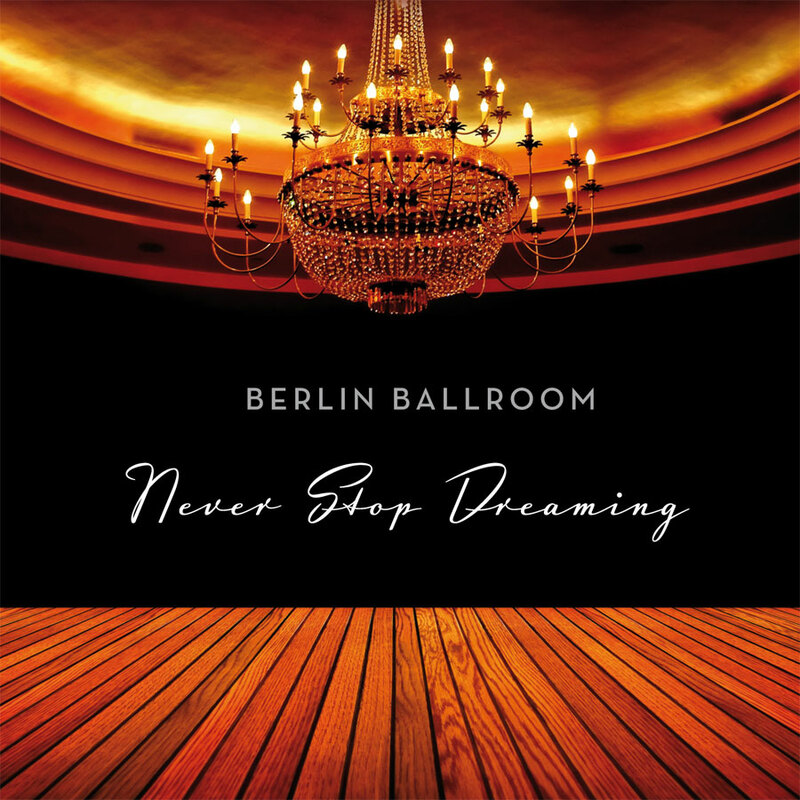 Berlin Ballroom’s debut album “Never Stop Dreaming” presents timeless, emotionally charged songs written by Detlef Kühn and Maria Sieren: “Songs of love and hope for mournful hearts”. 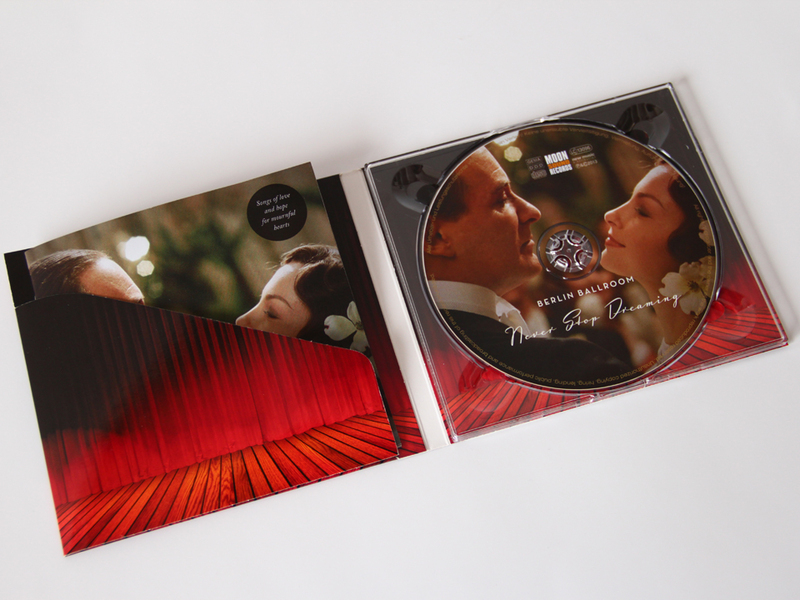 Producer and arranger Volker Schlott contributed the Berlin Blues, an alluring and artistic sax instrumental. 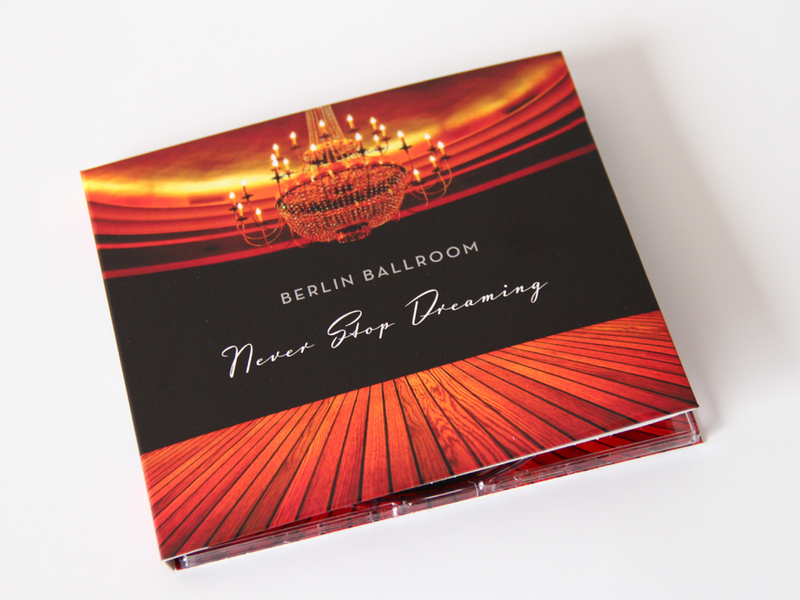 Berlin Ballroom provides sophisticated pop: romantic and hopeful, sometimes thoughtful and melancholy, but always dreaming of better times to come. 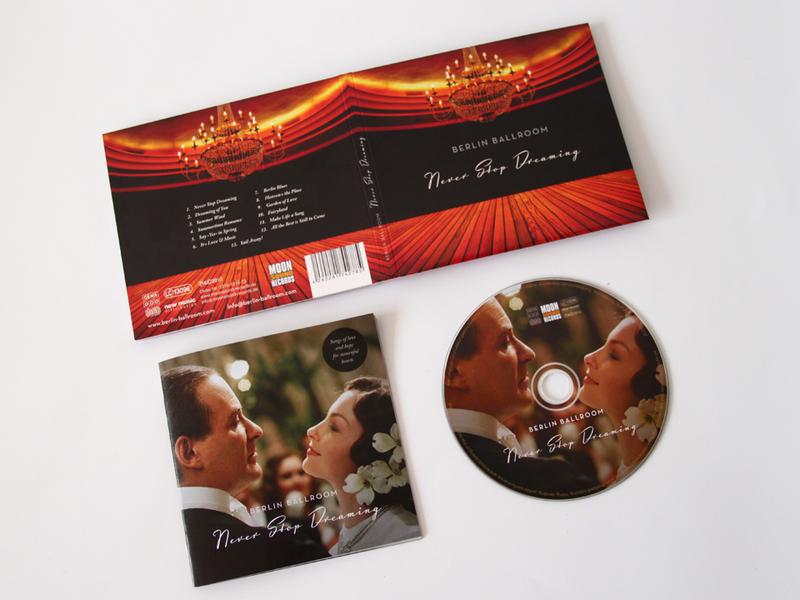 It interweaves elements of jazz, pop chanson, soul, gospel and Scottish folksong, with a special tribute to Nat King Cole and Cole Porter. Arrangements and all instruments: Volker Schlott. Guest musicians: Barbara Bultmann (violin), Axel Fidelak (guitar), Jens Naumilkat (cello), Sebastian Himpel (trombone), Christian Himpel (trumpet). What you are made of is dreams. To hope and follow your dreams. Love affairs ending so hopeless. Sunrise or darkness is up to you. Don’t give your hopes away. Stick to your dreams and stay. Turn the pages, turn them all. Turn back to your dreams. But be aware of what you can do. 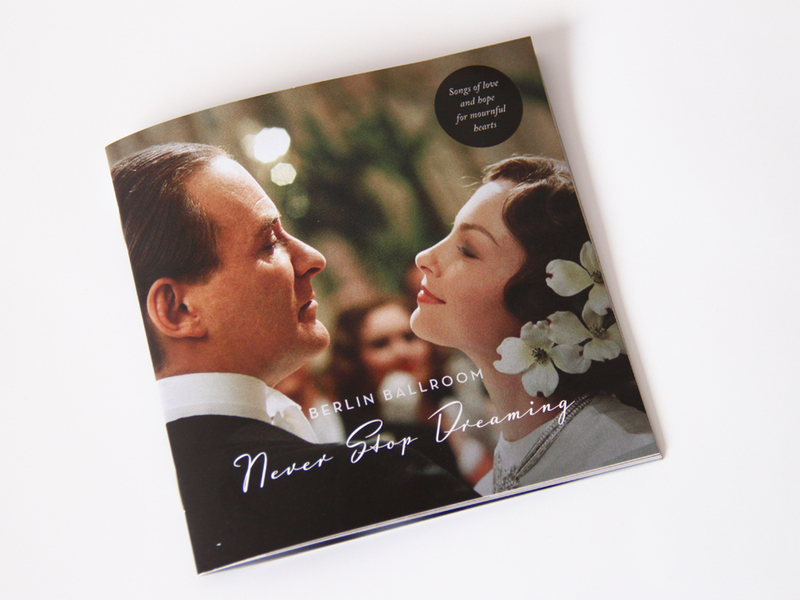 Never stop dreaming never forget. Friends are leaving you alone. Life’s just an untold story. I dream of you all the time. I feel so close to you, so close. When I wake up out of my sweetest dreams. I long for you all night and dream all day. ’Cause there’s a yearning in my mournful heart. Please come and be my loving star. You are my love still living in my dreams. Out of my dreams please come and live with me. You are somewhere, that’s what I know for sure. And you’ll love me one day as I love you. The summer makes a fool of me. And feel what I could reach. But you have gone too soon. It’s time for us to fall in love. Just for a summertime romance. Spring is not the only one. There’s a love, that’s new and so exciting. For romance you’ll find a reason. And it’s promises are sweetly teasing. That’s why summer is a special season. I can’t wait for just one night. That’s what I do, 'cause I love you. And eternal love I swear. That’s what I do, ‘cause I love you. Loving you is more than fun. I am sure you are the one. Deep in your heart, deep in your soul. To see your smile, to feel your grace. You’ve gone, you’ve left the world behind. You made us cry, with tears so blind. To hold your hand, to kiss your face. The paper says your birthday’s now. Heaven’s the place to celebrate. We’ll warmly hug and meet again. Hey, Mom and Dad, Lorraine and Jo! There is a place we’ve all to go. Heaven’s the place to talk and laugh. Heaven’s the place to celebrate ! You’re dreaming of a place to stay. And as beautiful as paradise. It’s a garden for two. And elves and wizards I called friends. And soon forgot that magic never ends. Again I see the land I knew so well. Where magic reigns and love is true. You kissed my lips and took me by my hand. Both hand in hand through wonderland. Life seemed to be a joyful, endless stream. Of magic, hope and confidence. Falling in love with you so deep at once. Love’s enchanting me and you. Only your charm can do. Much too loud and busy – that’s a fact. A fact you’re absolutely not enjoying. So you desperately wonder how to act. Watch out, prick up your ears. Make life a song sung by yourself. Such haunting rhythm – but you have to stay. Big and bustling cities need their rhythm strong. So hurry up - join the band and come along. There’s music in your heart. Nature plays for long a music of its own. You believe it’s old, but it’s ever green. Precious harmonies, a music without words. Major or minor - you have to find the key. Up to you’s the groove and melody. Find a delightful verse you like to sing. Silly thoughts that we will die. And our life seems bleak and gray. All the best is still to come. Missing still a helping hand. And depression makes us blind. And no chance for us to fly. Learning freedom’s just a lie. But inside no burning fire. Living always in the past. Lovely clouds up in the sky. Daring thoughts that we will fly. Make our life one to adore. Winding roads and well known ways. Sail away – sail away! 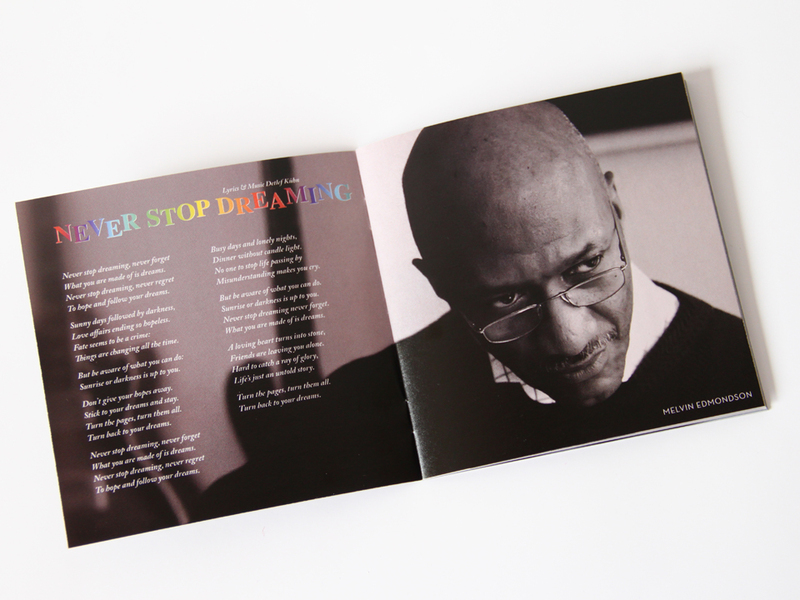 Dare to dream and sail away! Is growing calm and fairly smooth. And tethered to the daily grind. And see what treasures you can find. Get up and crowd all sail. And hope and courage is your crew.